We’d love your help. Let us know what’s wrong with this preview of The Secret Portrait by Lillian Stewart Carl. The Flowers o' the Forest are a' wede awa'." Fleeing an academic scandal and a broken marriage, Jean Fairbairn has come to Scotland to work for an Edinburgh-based history and travel magazine. Writing about the Scottish national pastime of playing illusion off reality is just the quiet, scholarly pursuit she needs to soothe her burned-out emotions. But when Jean heads for the The Flowers o' the Forest are a' wede awa'." But when Jean heads for the Highlands to investigate the 18th century mystery of Bonnie Prince Charlie's lost treasure, she finds herself involved in a contemporary murder case--and not as an innocent bystander, either. Alasdair Cameron, the police detective in charge, has his own perspective on reality and illusion. The American dot-com millionaire living out his tartan fantasies in a restored mansion is the loosest of loose cannons. His trophy wife isn't necessarily standing by her man. Their housekeeper knows what's going to happen before it does. And their youth piper is a kilted daydream, even though his parents are nightmares. At Glendessary House, old wounds and old glories aren't distant memories evoked over a glass of single-malt, to the skirl of the pipes. Here, they are up close, personal, and deadly. To ask other readers questions about The Secret Portrait, please sign up. Was super into this in the end. It took me literally weeks to get going on it; not sure if I just wasn't in the right mood, but when I originally started this, everything grated on my nerves. Maybe I just needed the mystery to kick off a bit more. Either way, super into the slow burn of the relationship that's being developed. I'm also not that annoyed at the more fantastical elements, although I did raise an eyebrow when they first came up, mostly because I wasn't expecting them. This book doesn't move fast, but it is well-written and I found myself spending more and more time with my Kindle, to find out what happened next. Now I have to go figure out where to get the sequel without having to pay full price for it, eh? Jean Fairbairn is a very likable character, bookish, clever, a transplanted American in Edinburgh, now writing feature stories for a Scottish magazine. For an article, she's gone to a very old manor house, the former home of a Scottish clan chief, which ha This book doesn't move fast, but it is well-written and I found myself spending more and more time with my Kindle, to find out what happened next. Now I have to go figure out where to get the sequel without having to pay full price for it, eh? Jean Fairbairn is a very likable character, bookish, clever, a transplanted American in Edinburgh, now writing feature stories for a Scottish magazine. For an article, she's gone to a very old manor house, the former home of a Scottish clan chief, which has been rebuilt by an American computer whiz who has seemingly become a bit daft (as they say) about his Scottish roots. But she arrives an hour early; in looking for the bathroom she finds herself face-to-face with a hanged man, one who clearly died only a few minutes before she found him. This was an excellent story. I particularly enjoyed Jean Fairbairn as the magazine reporter with just a little bit extra and a past that is emotionally troublesome. I liked the slow boil between her and Alasdair (with his own troublesome past) and hope their relationship gets some further progress in future novels (heaven knows the progress in this one was small, though encouraging). At this point, you'd have a hard time keeping me from further stories featuring these characters with a rabid dog This was an excellent story. I particularly enjoyed Jean Fairbairn as the magazine reporter with just a little bit extra and a past that is emotionally troublesome. I liked the slow boil between her and Alasdair (with his own troublesome past) and hope their relationship gets some further progress in future novels (heaven knows the progress in this one was small, though encouraging). At this point, you'd have a hard time keeping me from further stories featuring these characters with a rabid dog and rubber bullets. Got about halfway through and found the story exceedingly slow moving. Found it too easy to put down. I liked the setting (Scotland) and the main character was well drawn but that is about all I can recommend going for this book. Pity, the storyline sounded really good. 2/14 - I'm afraid that I still could not finish this book. I had only about 100 pages left but as the story went along it slowly ground to a halt. I tried my best to keep reading but I found it very slow going where nothing much o Got about halfway through and found the story exceedingly slow moving. Found it too easy to put down. I liked the setting (Scotland) and the main character was well drawn but that is about all I can recommend going for this book. Pity, the storyline sounded really good. 2/14 - I'm afraid that I still could not finish this book. I had only about 100 pages left but as the story went along it slowly ground to a halt. I tried my best to keep reading but I found it very slow going where nothing much of anything happened. Excellent writing does not go hand in hand with good storytelling. I consider gifted writing a treat. In the end, readers must be entertained: compelling scenarios, characters, flavour, a fine wordsmith... Unfortunately this book’s pacing lagged. Although always elegant or intelligently witty; she was too verbose on every page. Lapses of thought during dialogue should clarify or enhance a conversation, not interrupt its flow. Lillian Stewart Carl’s knowledge of history is exceptional and I glean Excellent writing does not go hand in hand with good storytelling. I consider gifted writing a treat. In the end, readers must be entertained: compelling scenarios, characters, flavour, a fine wordsmith... Unfortunately this book’s pacing lagged. Although always elegant or intelligently witty; she was too verbose on every page. Lapses of thought during dialogue should clarify or enhance a conversation, not interrupt its flow. Lillian Stewart Carl’s knowledge of history is exceptional and I gleaned snippets of education that I consider a gift. Alas, it was delivered under the umbrella of a mystery, a genre that can only be realized if puzzle-solving and adventuring come first. Heavy interjections needed to be tempered, if mystery is to gather the momentum it needs to remain energetic. I was thrilled the paranormal crept into the story, my favourite form of literature above all. Those moments seeped in so discreetly and unexpectedly, they are the most believable I’ve ever seen in fiction novels. A sense of awe permeated the tone of those scenes better than any other too. What’s regretful is that I had been slogging through the surrounding pages too much to enjoy them; intensity and mystical flavour appearing too sparsely to boost the pace. I recently discovered this author and am so glad I did. The Jean Fairbairn/Alasdair Cameron mystery series is a wonderful blending of history, mystery, a bit of romance, and a touch of the paranormal. The plots are complex and the characters well developed and thoroughly believable. I can't wait to read more in this fascinating series. First sentence: Jean Fairbairn sat on the stone windowsill of her office, if hardly in command then at least in admiration of all she surveyed. Historian and half-owner in a Scottish magazine, Jean Fairbairn is visited by George Lovelace, an older gentleman at her office. He claims to have found, and shows Jean, a old gold coin. The coin is a Louis d’Or, one of the lost hoard sent by Louis of France to Scotland in order to restore Bonnie Prince Charlie to the throne. He asks that Jean have the coin authenticated and leaves it with her. Jean travels to Glendessery House, now owned by an American dot.com millionaire with an obsession for Bonnie Charlie, and to visit again with George. Instead she finds the nearly murdered body of George, and a not-so-recent ghost wandering the halls. Ms. Carl creates wonderful characters. Jean is bright, has dry humor, questions her judgment in men and is neither young nor stunningly attractive and wear glasses; all quite refreshing characteristics. She and Chief Inspector Alasdair Cameron find they share an ability but are cautious with each other; another refreshing element rather than the usual coup de foudre often found used between characters. The dialogue occasionally felt off to me. A couple secondary characters early in the story ‘sounded’ more Irish than Scots, but that might just be me. The elements of history were clearly well researched and interesting, as was the sense of place. Carl does have a wonderful, very visual voice. The book had a great opening; however, I found this a slower read than the previous books I’ve read by Ms. Carl. The story did pick up toward the end and build to a suspenseful and satisfactory conclusion. There are two, so far, more books in this series and I do look forward to reading them. This is the first book in the Jean Fairbairn – Alistair Cameron Mystery series. Here we meet the main character s for the first time. Jean was an academic in the US, who after a bit of trouble back home, a nice cash settlement and a divorce from the marriage that shouldn’t have been, is living in Scotland as the silent partner of a magazine called “Great Scott”. She is visited at her office by a gentleman named George Lovelace, a retired academic formerly with Leicester University. He is bringing her a gold coin which he would like her help in getting authenticated. This coin supposedly had been part of Prince Charles’ treasure which disappeared into history after his failed attempt at gaining the Throne of Scotland in 1745. Mr. Lovelace gives her a story which while she finds it a bit shady, intrigues her enough that she agrees to take the coin to someone for verification. While visiting her friend at the museum she finds out that Lovelace lied to her about his experience in dealing with the museum regarding found treasures. This peaks her interest and she is now determined to get to the bottom of this mystery. Her partner in the meantime is arranging for her to take a trip up to where Lovelace lives under the pretense of interviewing Rick MacLyon an American Millionaire who has rebuilt a large Manor house and considers himself an expert on the Bonnie Prince. There’s murder a ghost or two and a very interesting Detective Chief Inspector to meet. I love the way Ms. Carl gives us this mix of diverse characters and brings them to life while totally entertaining us. FTC Full Disclosure – This book was sent to me by the author in hopes that I would review it. 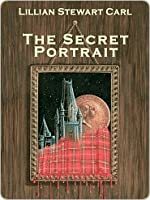 Always on the lookout for new mysteries novels, I chanced upon The Secret Portrait and decided to give it a try. Set in the modern Highlands of Scotland, the scenery immediately lends itself to an uncomfortable sense of danger and tragedy. Combined with a cast of suspects that were not the paper thin characters of many mysteries, it quenched my thirst for intrigue. 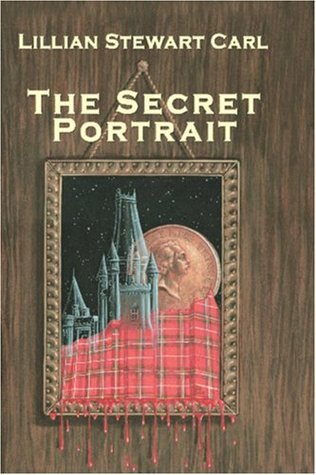 As stated by some other reviewers the story does seem to suffer from lag at the beginning, the device of the gold coin initially wea Always on the lookout for new mysteries novels, I chanced upon The Secret Portrait and decided to give it a try. Set in the modern Highlands of Scotland, the scenery immediately lends itself to an uncomfortable sense of danger and tragedy. Combined with a cast of suspects that were not the paper thin characters of many mysteries, it quenched my thirst for intrigue. As stated by some other reviewers the story does seem to suffer from lag at the beginning, the device of the gold coin initially weak and possibly not used to its greatest potential. However it does its job good enough to force the meeting of the characters for a classic murder to occur. The depth of the characters overcomes any shortfalls, and we eagerly follow the burgeoning relationship between journalist Jean Fairbairn and Detective Chief Inspector Cameron as they try and solve the crime. The mystery itself is what you hope for in this kind of book, challenging enough to keep you interested but not overly complicated. I liked it and will most likely continue on with more in the series. This was a very interesting book. It introduces an Historian and co-owner of a History/Travel magazine by the name of Jean Fairbairn. Jean is from Texas but feels totally at home in Edinburgh, Scotland. An elderly military man comes to see Jean with a coin that is believed to be that of a missing treasure of Bonnie Prince Charlie's. Quickly, Jean takes off to verify and research this find. What she finds, is the body of her informant. Stuck in the manor house, Jean is living with a murderer and ca This was a very interesting book. It introduces an Historian and co-owner of a History/Travel magazine by the name of Jean Fairbairn. Jean is from Texas but feels totally at home in Edinburgh, Scotland. Quickly, Jean takes off to verify and research this find. What she finds, is the body of her informant. Stuck in the manor house, Jean is living with a murderer and can only rely on the police force also sharing the house. This is the second book of the series that I have read, although actually the first one of the series. I am constantly impressed by the writing, which far transcends in descriptive phrases, a series mystery. My favorite line in this book was "a woman easing into middle-age as though into a cold swimming pool". For some reason, I can read pure fantasy, but when we have what appears to be our world with ghosts, I can't finish. Too bad, as the book was interesting until the protagonist actually saw a ghost. Maybe it's because people really believe in ghosts. I enjoyed the Scotish location in the book and believe it's a good first in the series book. That being said I thought the middle began to drag just a bit and it took a bit to long for Jean and Alasdair figure things out. I have enjoyed the entire Jean Fairbairn/Alasdair Cameron mystery series. They are set in Scotland, involve history, and a restrained romance I found much more realistic than that found in many books. Began reading this book from a sense of boredom more than anything else, but then realized I was immersed and truly enjoying the read. May need to add this author to my list of favorites! Not bad. This is the second of hers I've read. The stories are good. Nothing out of the ordinary, though. Engaging and exciting, The Secret Portrait not only gives a well-crafted murder story, but it also gives readers picturesque descriptions of Scotland throughout as scenery. Fort William, Achnacarry, Bonnie Prince Charlie, Commando .... very familiar sites and a murder thrown in for good measure. Atmospheric mystery with interesting, layered characters. Richly developed. A bit slow moving at times but interesting of sure to scratch any Scottish itch. Fairly entertaining - murder related to Jacobite history, though I found the description of characters and circumstances much more interesting than the solution itself. Lillian Stewart Carl's work often features paranormal/fantasy themes and always features plots based on mythology, history, and archaeology. Most of her novels take place squarely in the twenty-first century, where the past lingers on into the present, especially in the British Isles, Lillian's home away from home. She is the author of nineteen novels so far, including the Jean Fairbairn/Alasdair Cameron mystery series---America's exile and Scotland's finest on the trail of all-too-living legends. Her newest novel is Fairbairn/Cameron number six, THE MORTSAFE. Of her mystery, fantasy, and sf short stories, twelve are available in a collection titled ALONG THE RIM OF TIME, and thirteen, including three from "Best Of the Year" anthologies, are collected in THE MUSE AND OTHER STORIES OF HISTORY, MYSTERY, and MYTH. All of Carl's work is available in electronic as well as paper form. She has also co-edited (with John Helfers) a retrospective of Lois McMaster's Bujold's science fiction work, titled THE VORKOSIGAN COMPANION, which was nominated for a Hugo award.